An educational series exploring autonomous vehicles and their societal impacts was co-sponsored by The University of Toledo’s College of Engineering and AAA Northwest Ohio, the series addressed how autonomous vehicles will impact the engineering world, as well as the world at-large. 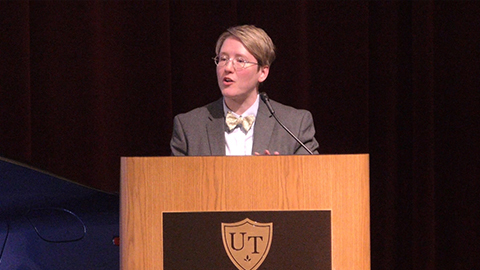 Jennifer Dukarski, Butzel Long Attorney and Shareholder, Ann Arbor, Mich., spoke at the lecture. She is a former design engineer and quality manager in the automotive industry.